Senior executives at clothing chain Primark have expressed their sadness at the collapse of a building in Bangladesh in which workers who supplied the brand have been killed. One floor of the eight-storey building was occupied by Primark workers, but the spontaneous collapse has left around 150 people dead. In a statement, Primark said: 'The company is shocked and deeply saddened by this appalling incident at Savar, near Dhaka, and expresses its condolences to all of those involved. 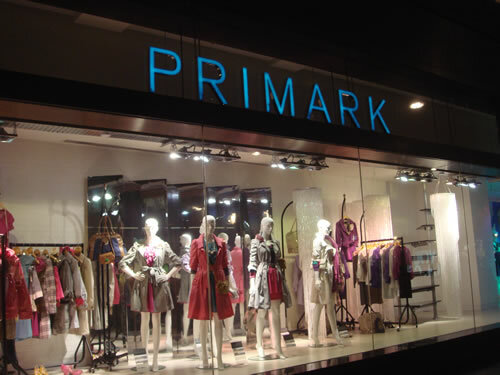 'Primark has been engaged for several years with NGOs and other retailers to review the Bangladeshi industry's approach to factory standards. Primark will push for this review to also include building integrity. It is lucky that not everyone was killed – around 2,000 people from a number of different companies were working in the building at the time, and authorities rescued more than 600 after the collapse. The cause of the building's failing is not yet known.